When selecting a trademark, there are two important considerations: (1) avoiding the likelihood of confusion with other marks and (2) selecting a “strong” mark in the legal sense. A likelihood of confusion will occur when your mark is the same or similar to another mark that identifies related goods or services. Whether or not a mark is “strong” in the legal sense depends upon into which category the mark falls. There are four categories of trademarks: (1) fanciful or arbitrary, (2) suggestive, (3) descriptive, and (4) generic. Fanciful or arbitrary marks are the strongest. Generic marks cannot be registered and offer no protection. Suggestive and descriptive marks fall in between. Therefore, it is important that you design your trademark so that it offers the most protection possible. Generic marks are marks that use common, everyday terms that everybody has the right to use. Often, a generic mark will describe the particular class or variety of which the good or service is a member. For example, attempting to use the term CAR for an “automobile” would be generic. To allow someone to use CAR as a trademark would unfairly prevent everybody else from using that term in the sale of automobiles. Descriptive marks use terms that merely describe the good or service. This might be a mark that utilizes the color, smell, or ingredients of a good or service. For example, the term SOFT as used to describe towels. A mark that is only descriptive cannot be registered unless it acquires distinctiveness. Typically, the mark must be highly used in commerce for at least five years before it will acquire any kind of distinctiveness. UPS, for example, has successfully registered its brown color as a trademark because of the distinctiveness it has acquired. Marketing professionals like to use descriptive marks because it makes it easy for the consumer to identify the attributes of a good or service. Resist the urge to take this advice. Because a descriptive mark is weak, it will require a great deal of time, effort, and money to police the mark’s use in commerce while it attempts to gain distinctiveness. Suggestive marks suggest the qualities or attributes of a good or service. These marks differ from descriptive marks in that they do not actually describe the product but merely suggest an attribute that requires some thought or perception on the part of the consumer. GREYHOUND for bus services is a good example. Suggestive marks are strong marks and the next best choice after fanciful or arbitrary marks. Fanciful or arbitrary marks are made-up words or real words that have no relationship to the good or service supplied, respectively. These are the strongest types of marks and are afforded all protection. Also, because they are often made-up or arbitrary words, it is less likely that anybody else is using them to describe your particular good or service. APPLE as it relates to computer products is an arbitrary mark, and therefore very strong, because apples have nothing to do with computers (if APPLE was used to describe an apple product, it would be a generic or descriptive mark and therefore very weak). As you can see, the type of mark you select has a big impact on the amount of protection it is afforded. 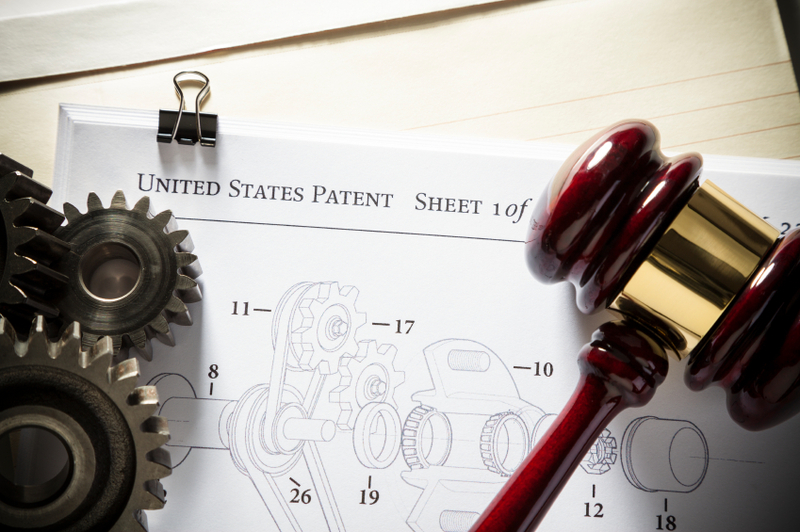 We offer an initial consultation to assist you in the selection and filing of your Federal Trademark Application.